Here is what she said about the after-school reading program, supported by Chen Yet-Sen Foundation from Hong Kong. My name is Atanga Matilda I am 12 years. I come from Kunkua, I am in class 6. I want to be a teacher in future. I read 10 books during the reading program. My favorite books are “Maria’s wish” and “The strange bird”. I like Maria’s wish because when I have a crop seedling I can know how to plant it and feed it. I like “The strange bird” because if your friends do something don’t follow them, because one day you will also be in trouble. I like the ASR program because when I started, I don’t know how to read or say the words but now I can know how to read and say the words I can also get the meaning of words in the dictionary. 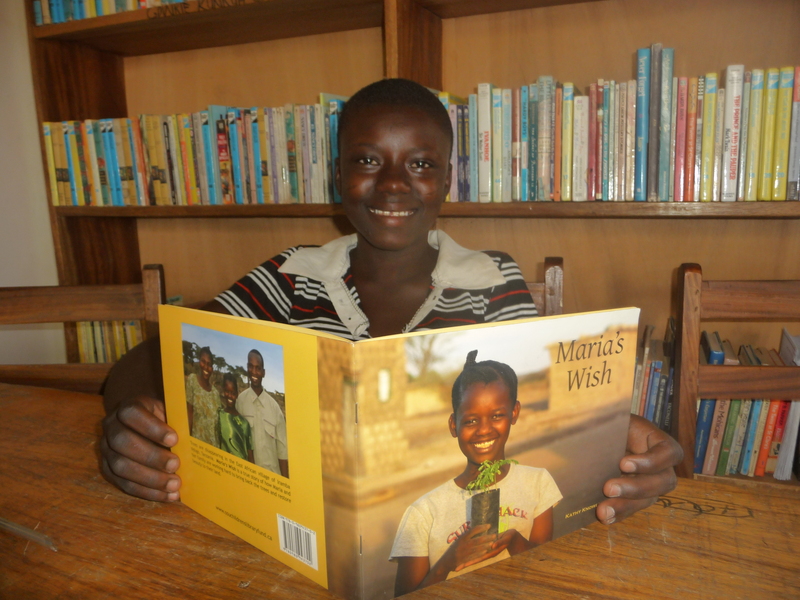 More about Friends of African Village Libraries is here.